KIEV, March 15. /TASS/. 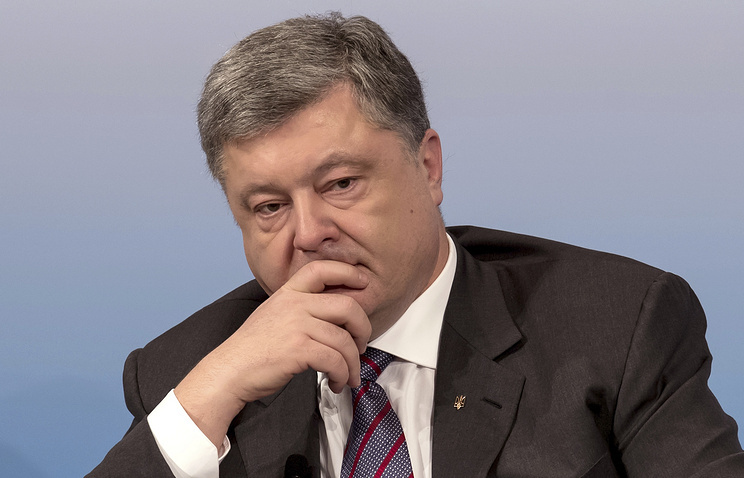 Ukrainian President Pyotr Poroshenko was unable to stop the blockade of the Donbass railways by extremists, so he decided to take charge of it. However, this move will have serious implications for the country’s economy, which will push the early parliamentary elections closer, Ukrainian political scientist, Andrei Zolotaryov, told TASS. "Apparently, Poroshenko decided to act in accordance with the following principle. If the process cannot be stopped, one should take charge of it. Of the two possible solutions - either to reach an agreement or suppress the blockade - he chose the third option as the situation showed that it could slip into radicalism," the expert noted. "On the other hand, the decision to impose a blockade at the authorities’ level is actually an ultimatum, an attempt to put pressure on Russia to make it put pressure on DPR and LPR senior officials regarding the issue of enterprises’ nationalization." According to Zolotaryov, the stakes are rising over the situation around Donbass. "It is clear that the aftermath for Ukraine’s economy will be very serious and the likelihood of the early elections is growing dramatically. All these developments will lead to further escalation of the internal political conflict in the country and the least-evil solution is the snap elections," he said. The expert added that enterprises making part of Metinvest mining and metallurgical company operating in Donbass and yielding 20% of foreign currency revenues for Ukraine’s budget will be affected most. "Ukraine’s balance of payments deficit, that is, the difference between imports and exports, is $4 bln, and it will increase. If that is the case, where will the government get foreign currency? After all, it has to repay external debt and provide for critically important imports. It is obvious that it will resort to printing money," he noted. Such actions, in turn, will further devalue the hryvnia. "Meanwhile, ordinary Ukrainians will have to pay for these ‘patriots’ games’ as there are no plans to raise pensions and wages in the public sector while the prices will rise," Zolotaryov said. Earlier in the day, Ukraine’s National Security and Defense Council decided to suspend all transport links with the territories of Donbass uncontrolled by Kiev as of 2pm Moscow Time.